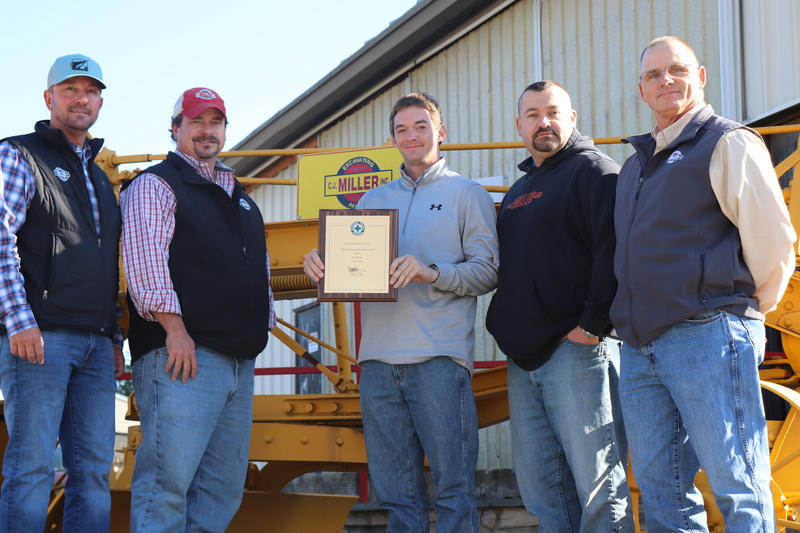 Safety performance is always a priority at CJ Miller LLC, and we are proud that our team was awarded a 2018 Safety Committee Award from the National Safety Council. CJM was a contender with more than 500 companies and was honored with the Second Place award at the semiannual Affinity Insurance Risk Control Workshop in Atlanta, Ga., this October. CJ Miller’s Safety Department consists of Royce Foltz, Director; Brian Gisher, Field Safety Inspector; and Josh Strine, Safety Assistant. 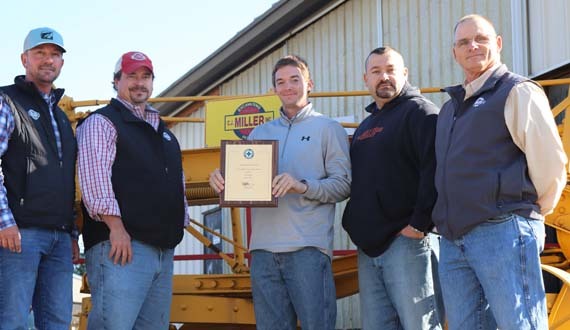 “Our safety team at CJ Miller is committed to educating our employees on safety issues and working to mitigate safety situations, and it’s an honor to be recognized for these efforts,” said Royce Foltz. CJ Miller holds monthly trainings on topics ranging from CPR to OSHA 30 to Forklift Certification. CJM Vice President William Miller and President CJ Miller III congratulate the CJM Safety Department of Josh Strine, Safety Assistant; Royce Foltz, Director of the Safety Department; and Brian Gisher, Field Safety Inspector, for their award from the National Safety Council.